It seems to be baby season around here. I’m so excited because there are a ton of girls making their way into my life. That means lots of girly crafts! Love my boys, but everyone could use a little ruffle and lace. I’ll be an auntie to a beautiful little girl in November and just today a good friend welcomed her princess to the world. 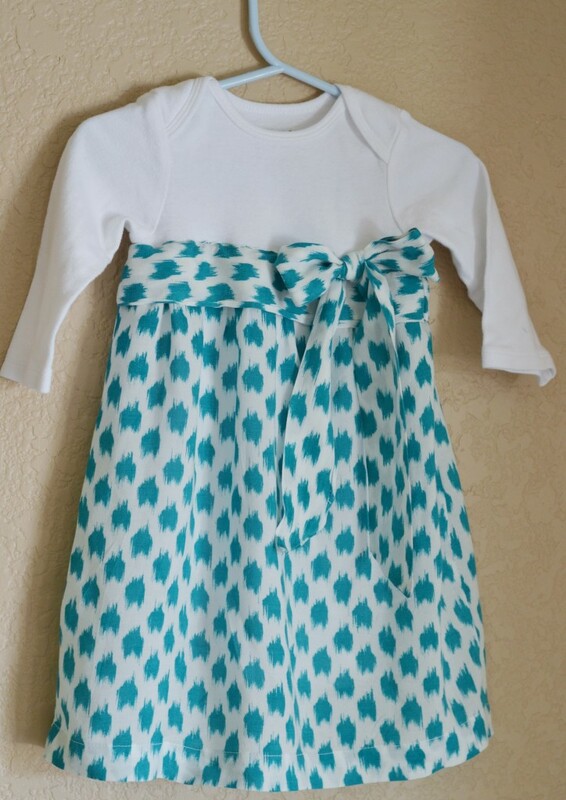 I created this upcycled onesie dress for her. 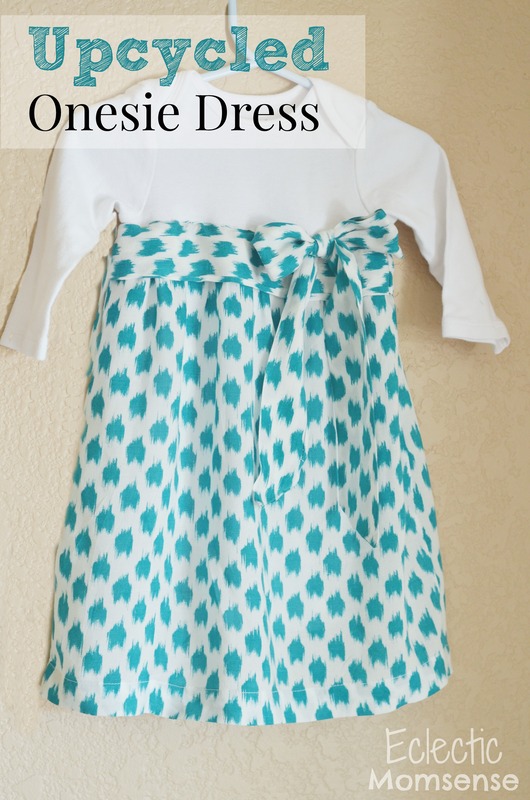 It was so simple to make with a onesie and blouse. You can absolutely do with a long piece of fabric this just cut a few steps out and already had a beautiful hem along the bottom. Start with a piece of fabric 4x the width of your onesie (chest measurement) and the length of your onesie from the chest plus 2″. 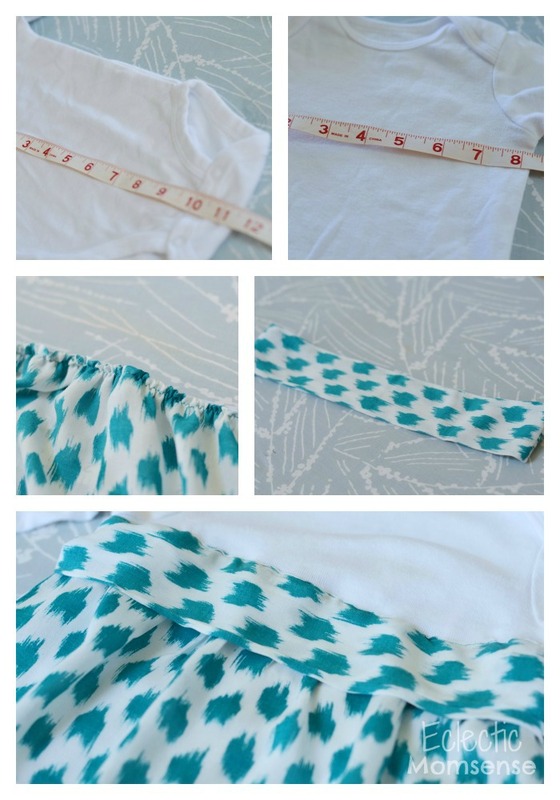 If you are using an old blouse just cut under the armpit area to create a tube. Make sure it is at least 4x the width of your onesie. Sew the 2 shorter ends together to form a tube. 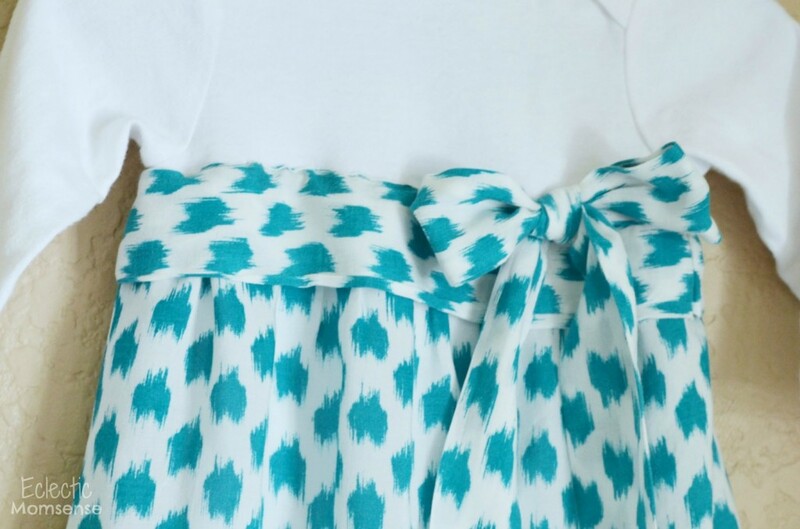 Gather your fabric using a loose zig zag stitch or elastic. I like elastic to create an even gather. Sew your skit onto the onesie just under the arms. You can add a band and/or bow around the skirt to hide the gathering or leave as is. I was thinking of making something like this too since cotton is not stretchable for the arm area to use during cold weather. Thanks for the sharing! 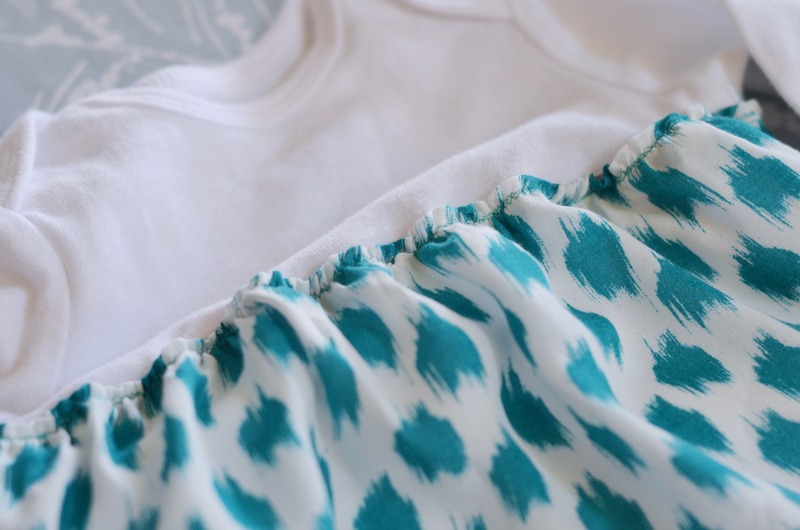 I’m wondering when you sew the skirt onto the onesie, do you have to use a stretch stitch so that the onesie will go over the baby’s head. Also if you pull on the onesie won’t it be stretched out and look wonky?